Bones and teeth are living tissue. Because they are harder than other living tissues in the body, that does not mean you need to eat calcium rock supplements or other non-food-like substances to make them hard. Yes, I’m bucking the daily 1200 mg calcium rule. From all my nutritional offerings, my clients have never tested for a rock-based calcium product to rebuild their bones, so I had to rethink this whole matter. What was the uncommon wisdom my arthritic and osteoporotic clients were showing me? Becker found that bone growth was restimulated by the introduction of electric currents. My clients taught me that to build bone, one needs good circulation and and good enough digestion to break proteins all the way down to amino acids. After all, the bone matrix needs blood and proteins to build itself and then, after the matrix is built, it can hold minerals. So yes, bones need minerals, but before that, the ability to hold the minerals must be constructed. For this consider bone buiding soup. First of all, osteoporosis cannot be a calcium-deficiency disease. We consume more calcium per capita than any culture in the world and still have the highest levels of osteoporosis! So that ain’t it. A number of studies have been done to examine the relationship between calcium and bones. A study by Mark Hegsted, Professor Emeritus of Nutrition at the Harvard School of Public Health, compared the rates of calcium intake to the risk of hip fracture by country. Surprisingly, he found that countries with low intakes of calcium actually had lower rates of hip fracture and countries with high intakes of calcium had higher rates of fracture. Hmmmmmmm. Stay with me. Most calcium supplements aren’t ‘living food’. 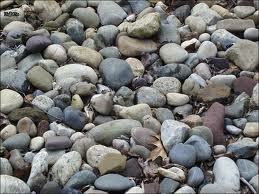 In fact they are chemically produced rock powders and when did humans ever eat rocks for food? In fact, alkalizing calcium supplements neutralize stomach acid needed to make materials for our tissue and bone repair. In postmenopausal women, it has been shown that about 40% are severely deficient in stomach acid. Neutralizing the little that is there severely affects your body’s ability to repair itself – including its bones! (BTW Taking a medication that lowers or inhibits stomach acid has the same effect. See Pharma Phactoids below). Many people rely on milk as their source of calcium. But research has shown that people in countries with the highest dairy intake have the highest rate of hip fractures per capita. Furthermore, in the Nurses’ Health Study, a study involving 77,761 women, researchers found that women who drank two or more glasses of milk per day had a 45% higher risk for hip fracture compared with women consuming one glass or less per week. So forget pastuerized homogenized milk as a solution – it hastens bone loss. More recent studies have looked at the relationship between calcium and bone density. Postmenopausal women were given various amounts of calcium daily. The results of the studies show that those with higher rates of calcium received a small initial benefit in greater bone density but that the effect did not continue to increase. So, except for a small, one-time benefit, higher daily intake of calcium did NOT appreciably strengthen bones. And another thing to consider, denseness as measured by today’s diagnostic devices DOES NOT determine if the bone is living tissue or not. Oh yum. Ready to chow down? Well if this paradigm shift is too much for you and you are fearful for your bone health and want to take a calcium, I recommend Herbal CA ATC (#826-3). It is an easy-to-digest concentrate from living plants with all the synergists and other ingredients needed for bone and tissue repair. Plus it calms the nerves and reduces some kinds of pain. You make bone like you make brownies, with many kinds of ingredients carried to the site with good circulation. Although there are many supplements shown to be helpful ingredients for bone reformation (chondroitin, glucosamine, aminos, etc. ), a more balanced program includes getting the bone ingredients from our foods in an assimilable form. The Bone Building Soup recipe shows how to extract bone rebuilding nutrients from the bones of animals in the form of a soup broth – made in your own kitchen. It is good for all kinds of illness and debility, and especially for the aged. The Easy Therapeutic broth can be used instead for those not in a position to cook. If the above studies don’t convince you, know this, that bone building requires many other players, synergists, transports, hormones, good capillary circulation, NOT calcium from rock powders. The thyroid makes 5 hormones that we know of; T1, T2, T3, T4, and calcitonin. Calcitonin, is key in calcium deposition. But if you are on a thyroid medication (like Synthroid), don’t assume you are getting calcitonin or that this man-made substitute for one of your thyroid secretions is doing everything that your own thyroid does for you. And bone loss is a side effect of Synthroid. Ask your pharmacist. And 1200 mgs of calcium won’t prevent this, nor will the other pharmaceuticals (Boniva, Actonel, Fosamax, Didronel, Skelid) do anything for your bones either (oh wait, they will cause osteo-necrosis of the jaw, a.k.a. jaw rot, i.e. bone death). You need to nourish your own thyroid into proper function so it can make all the hormones you need in the right amount at the right time. Begin with Thyroid Support (#1228-6) 3B. It will do more to support bone growth than rock powder calciums or synthetic thyroid hormone. Women all over the world experience a lowering of estrogen at menopause, but not all women experience osteoporosis. Attributing the causes of osteoporosis to the natural lowering of estrogen at menopause is too simplistic. The fact is that Mayan Indian women, Bantu women of Africa and the Japanese all have lower estrogen levels than US women, but they all experience much fewer fractures than US women (they are probably not taking rock calcium powder). Furthermore, while a decrease in estrogen level is one contributing factor to osteoporosis, this alone does not explain the disease, as osteoporosis also occurs in men (though much less frequently). So what might be in the Japanese diet? Some suggest soy but it occurs to me that the seaweeds they eat are highly beneficial not only to supply minerals for the bone but also food for the thyroid gland which is a backup endocrine for the ovaries and produces calcitonin. Therefore supplementing with kelp and algae are a natural way to address this aspect of bone growth (or use Thyroid Support (#1228-6) if you have been diagnosed with low thyroid). In the Scientific American’s Updated Medicine Text, 1991 it states “Estrogens decrease bone resorption” but “associated with the decrease in bone resorption is a decrease in bone formation. Therefore, estrogens should not be expected to increase bone mass.” Your doctor may want to know this. Living bone tissue is broken down and rebuilt continuously, just like all of the living tissue in our body. This process takes place when osteoclasts help to dissolve old bone tissue, while osteoblasts stimulate new bone growth. Because estrogen has a rate limiting effect on osteoclasts, ‘estrogen dominance’ delays the breakdown of bone tissue but does not support bone building (osteoblast function). Therefore estrogen actually inhibits the rebuilding process. No reason to do estrogen for bone density. The efficacy of natural progesterone, however, is verified by a three year study of 63 post-menopausal women with osteoporosis. Women using transdermal progesterone cream experienced an average 7-8% bone mass density increase the first year, 4-5% the second year and 3-4% the third year! 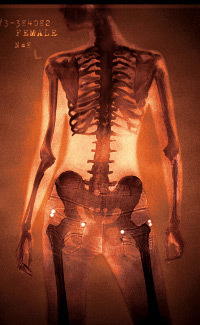 Untreated women in this age category typically lose 0.7% to 2.0% bone density per year!!! So applying a small amount of progesterone cream is beneficial and supportive of bone reformation. Short term you can use Pro-G-Yam (500 mg (2 oz. tube) # 4936-5) to stimulate the osteoblasts in the event that your hormones are the contributing factor. I also recommend Adrenal Support (#1507-0) since your adrenals are your backup for all hormones made by the body, and can make the progesterone that your body needs in the right amount at the right time. Protein intake may also affect bone density. In theory, a diet high in proteins may increase the risk of fracture by raising the amount of acidity in the blood which “leaches” the calcium from the bone, weakening them over time. Numerous studies that have found an increased excretion of calcium in the urine associated with animal protein consumption, lending some credence to this theory. But I’m not buying it. Harvard researchers used the Nurses’ Health Study to attempt to see if a correlation exists. They found the data “yielded some evidence for the hypothesis”, with “small but significant increases in risk of forearm fracture”, but no evidence of increased hip fracture (Feskanich, 1995). Since protein contains the important ingredients to rebuild bone – provided it can be broken down by the digestion (see calcium discussion above), it should be accompanied by potassium foods within the diet (as Dr. Atkins found). Potassium foods (celery, cabbage, parsley, broccoli, lemon) assist the body with the elimination of the acids from the body through the kidneys. My clients seem to like Combo Potassium (#1673-3) to minimize the adverse effects of needed animal protein in the diet. Most women who come to me with this concern (osteoporosis) are slight of build – that is, lightweights. They taught me that the body is intelligent and makes as much bone density as needed to support their weight/activities. More weight requires denser bones. Our ancestors didn’t have shopping carts and cars. We carried heavy things from the market which made our bones dense up for the load. We carried our children and grandchildren on us everywhere – no strollers, and our bones adjusted to the task. Now I know you don’t want to gain weight to dense up your bones. BUT, know this – your intelligent body can have all the ingredients to make bone but have no need to because of your light load, especially if you sit all day like I do. My Greater Trochanter (bone atop femur that inserts into hip) is not supporting my weight in the sitting position. AND besides all that, your bones don’t know that they are not passing a man-made test. They are just following the intelligent design program as instilled by their Creator. Options: you can provide needed ingredients and leave them at their proper density, or you can wear a weight vest or belt that puts your bones in compression, or carry your grandchildren around all day. The last thing my clients taught me about building bones was that those with circulation problems were likely to have problems building bones too. Those who bruise easily or have finger nails that crack are not delivering nutrients to the end of the line. It is the blood that carries nutrients to all the tissues. Again, good bone building materials in the diet does not mean they get where they are needed. Good circulation depends on open pipes (blood vessels) and thin blood. My personal favorite for this is Dr Christopher’s general circulation formula GC-X (#1212-1) Consult the circulation document of this website for more insights. A recent article in the Archives of Internal Medicine (Vol. 67 No. 2. Jan. 22, 2007) reported that daily use of the most common antidepressants–SSRI’s– such as Prozac®, Zoloft®, Welbutron®, and others was found result in a 200% increase risk of bone fractures. This study looked at those 50 years of age and older. They were studied for five years. This is the age group most commonly at risk for osteoporosis. In this study, daily SSRI use was found to be associated with a significantly increased risk of falling (2,100% increased) and a lowered bone mineral density of the hip and the spine. All of these effects were dose dependent, meaning the longer you took the medications, the more problems you may have with them. There was an article in JAMA (12.27.2006 Vol. 296,No. 24) that reported on the elevated risk of hip fractures with the long-term use of antacid drugs (proton pump inhibiters such as Prilosec® and Nexium®) . This study showed a 59% increase risk if antacid medications are used for 4 years. There was a steady increase in hip fracture rates the longer these drugs were used. What’s you thoughts on using Alendronate 70mg, for osteoporosis for no longer than 5 yrs? I recommend getting the book Save Our Bones by Vivian Goldschmidt. She discusses many options including Fosamax and women have reversed their dx following her advice which is basically what I discuss here. She goes into more detail about the drugs like Fosamax which you can show your doctor. Thank you for your comments, after checking with Amazon.com for this book they want $85.99 for this book, too expensive. Do you have this book in your lending library for loan, I would gladly pay postage on this both ways. I have had two of these books in my lending library. One has been lost, and the other is loaned out with one person in the waiting line. Perhaps you can check with your local library. Let me know if you have any luck with that. And perhaps I need to get another loaner book. I did check my local lending library and no such book in their system. While I am waiting for this book, what would you recommend for calcium/ magnesium supplementation? Please reread this post to get the scoop on Ca/Mg supplements. What I have reported here is basically the same as what is in the Goldschmidt book except I don’t go into all the research that shows the damage bisphonphonates do. So follow the recommendations here as a starter. An Osteopathic Doctor thinks my long -term rib/back pain indicates scoliosis, but needs an X-ray before treating it. (He wants to rule out cancer before he manipulates a patient.) What and how much/ how often could I take to minimize the damage of an X-ray? I’ve read that Vitamin C and bioflavinoids help. Your suggestions? Korean Ginseng helps folks bounce back from radiation exposures. Bone pain usually has a muscle origin, esp scoliosis which indicates an imbalance in muscle tension from one side of the body to the other. ANY attempt at changing the structure without changing FIRST the tension on the structure is deeply flawed. 100 mcg only on the weekends. So M-F 88 mcgs and then 100 Sat – Sun.